The Breitling Premier B01 Chronograph 42 Norton Edition celebrates the partnership between the prestige watch brand Breitling and British motorcycle company Norton, known worldwide for its high-performance motorcycles. The watch is part of Breitling's Premier collection, a family of elegant watches defined by their fashionable flair. The new Norton Edition is a distinctive interpretation of the Premier that makes a bold urban chic style statement. Willy Breitling was famously quoted as saying: "When a man puts on his Breitling, there is the unmistakable stamp of impeccable taste." A Norton motorcycle is a similar sign of its owner's personal flair. 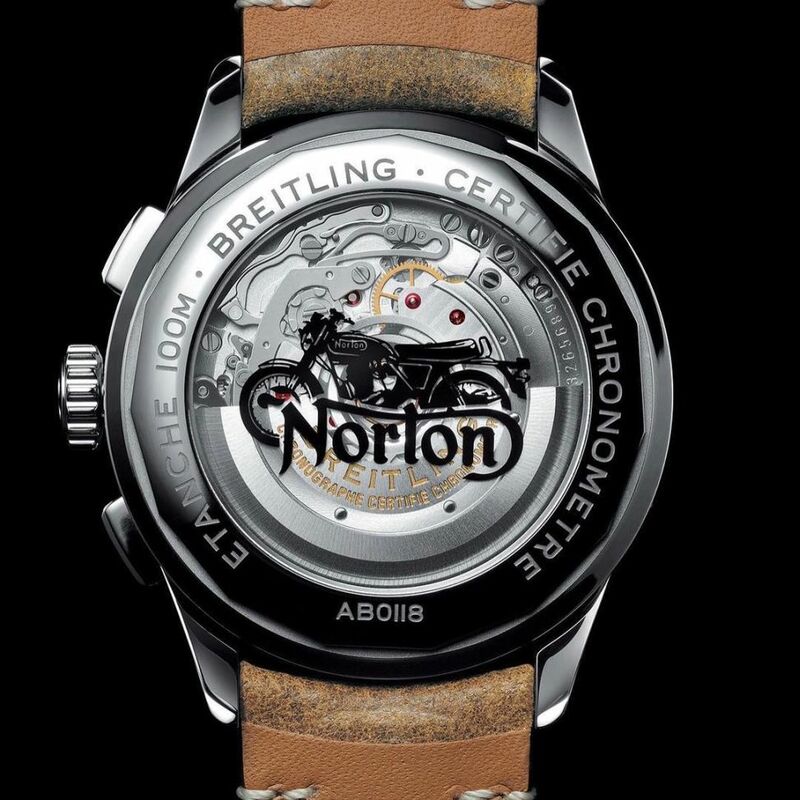 Breitling CEO Georges Kern says that his brand has striking parallels with Norton Motorcycles: "Breitling and Norton are both innovative and entrepreneurial and have powerful legacies. This new watch honors the great partnership between these two aspirational brands." He smiles and adds, "I think that anyone who puts one on might suddenly imagine 'Born to be Wild' playing somewhere in the background." 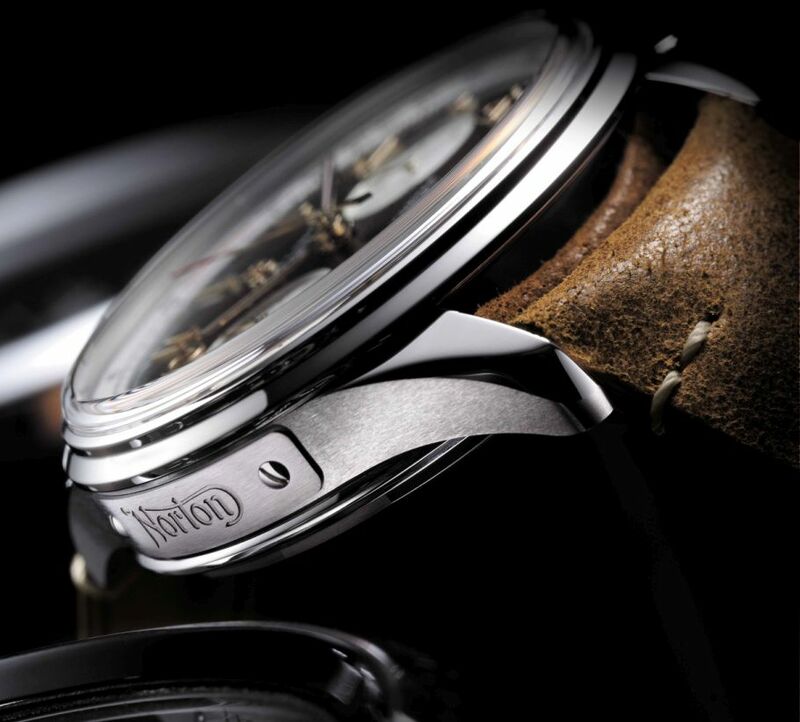 Stuart Garner, CEO of Norton, agrees: "Breitling's new Premier Norton Edition incorporates DNA elements from both brands, offering wristwatch and motorcycle fans the opportunity to express their individuality, and perfectly embodies the nature of our brands." 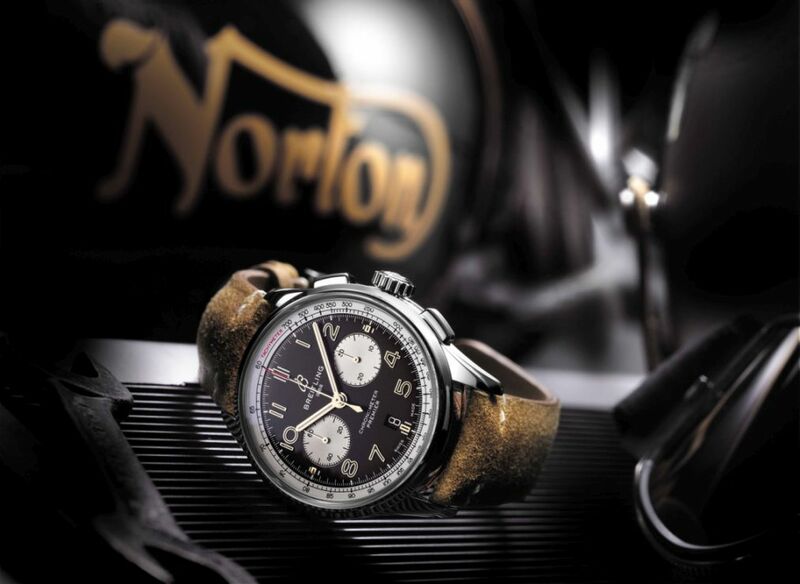 Breitling and Norton Motorcycles share a strong heritage. Both were founded in the nineteenth century by visionaries who gave their names to their companies and, to a large extent, defined their industries. When James Lansdowne Norton set up his company a manufacturer of "fittings and parts for the two-wheel trade" in 1898 and produced his first motorcycles in 1902, Léon Breitling had already been making watches in the Swiss Jura Mountains for more than a decade. 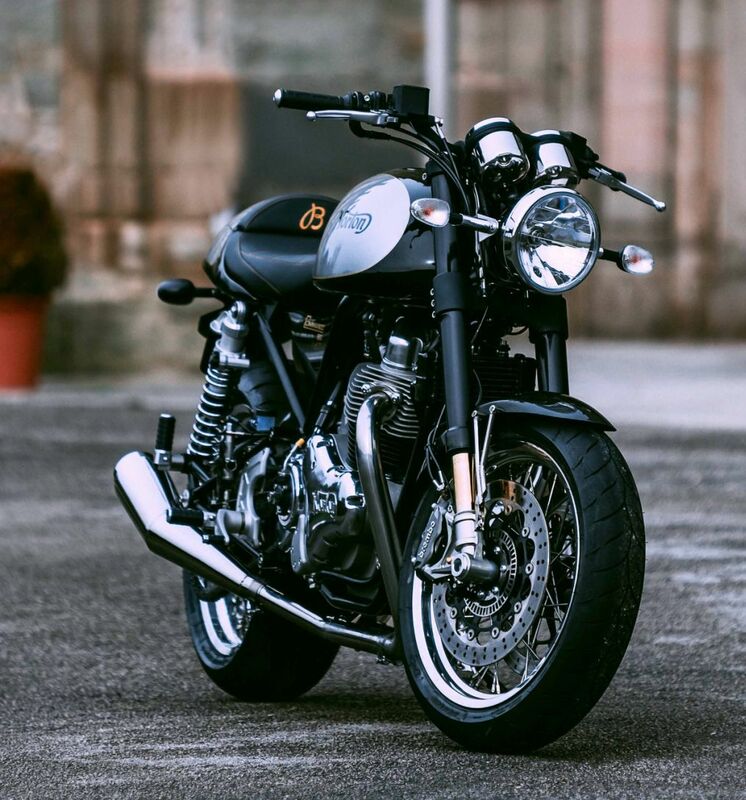 And both brands have also been featured in James Bond films 007 wore a Breitling Top Time in 1965's Thunderball and a Norton Dominator SS had a supporting role in Spectre (2015). 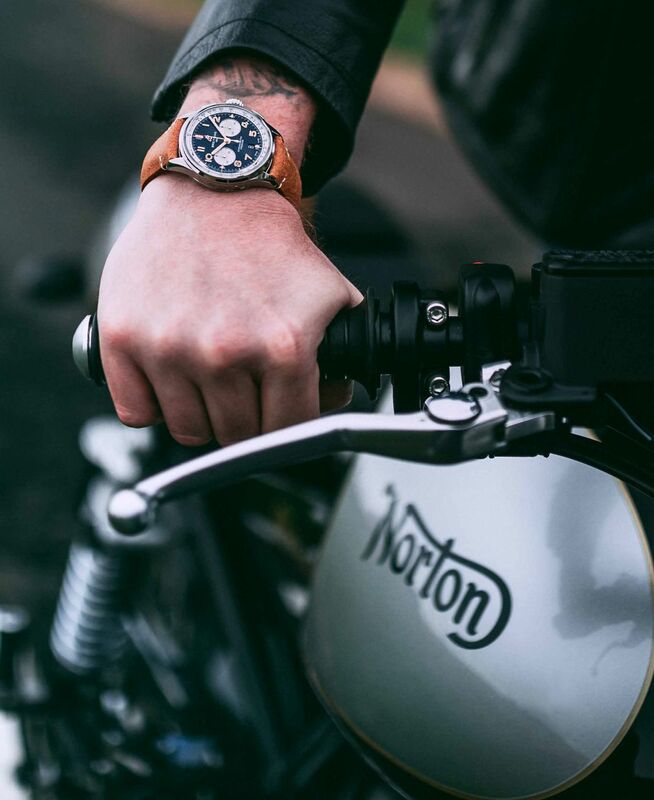 When you slip on your Premier Norton Edition watch, you will be wearing a timepiece that reflects a partnership between two great brands. And you might find yourself longing for a powerful, stylishly iconic motorcycle worthy of the watch. Our friends at Norton have created the perfect solution. The Commando 961 Café Racer MKII Breitling Limited Edition recalls the classic appearance and style of the great old style café racers but offers modern state-of-the-art components and engineering. 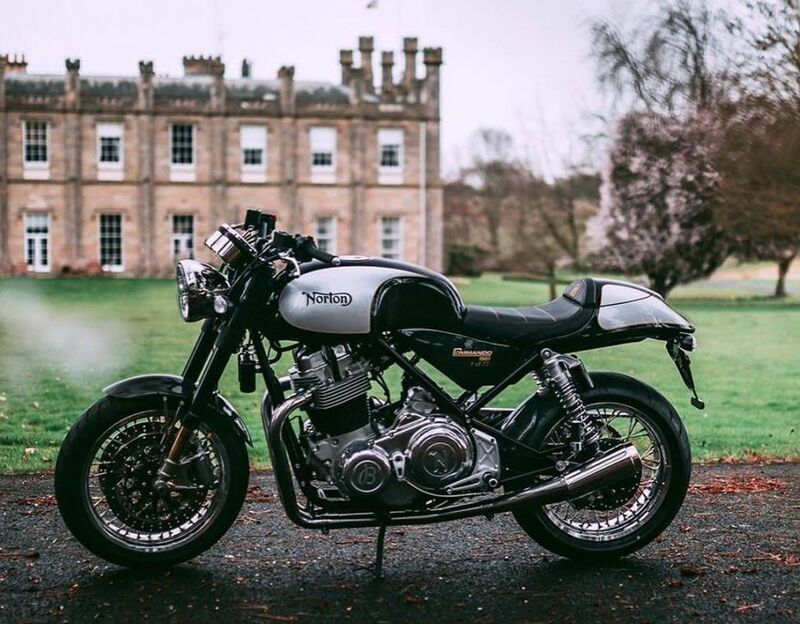 Its 961 cc engine was developed in-house by Norton and delivers the performance you would expect from one of the world's great motorcycle brands. This special Breitling Limited Edition is being created in a series limited to 77 motorcycles. 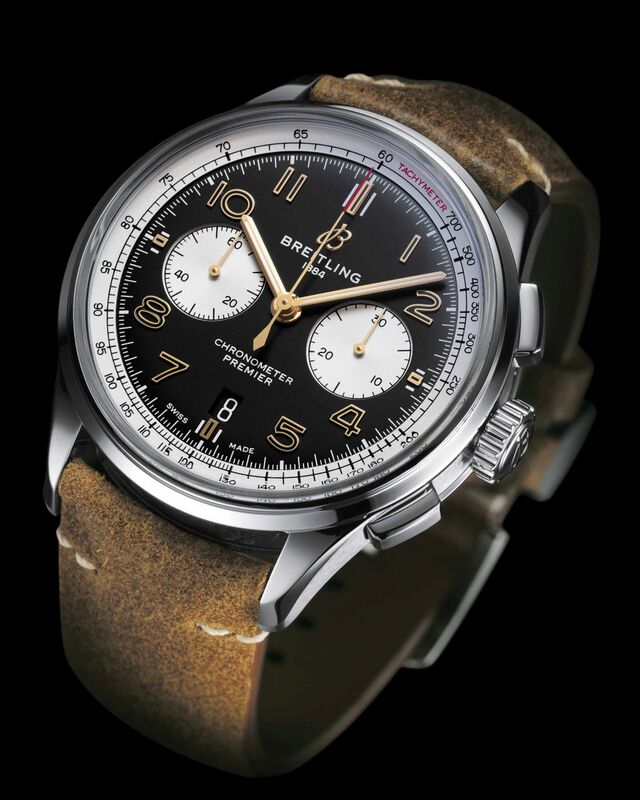 It is distinguished by a vintage Breitling "B" engraved on the clutch box, Breitling-designed speedometer and tachometer dials, and a black-on-black vintage "B" stitched into the saddle. This motorcycle is available for purchase through Norton's distribution network. Movement is the Swiss automatic Breitling in-house Caliber 01 with 47 jewels, 28,800 vph and a power reserve of 70 hours. It features a column-wheel and a vertical clutch. It is COSC-certified as a chronometer. Functions are: hours, minutes, seconds, date, chronograph with 1/4th second and 30-minute counter. It has a black dial with silver contrasting fields for permanent seconds and 30-minute totalizer. SuperLuminova golden hands and numerals. Black tachymeter scale on a white inner bezel around the dial, with "TACHYMETER" inscribed in red. It comes on a brown vintage raw-leather strap with a steel folding buckle or on a stainless-steel bracelet with folding clasp. 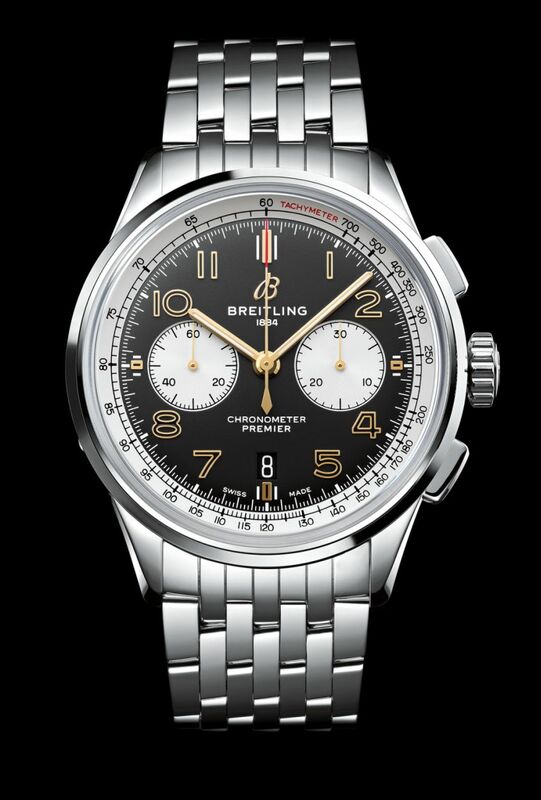 Great looking series from Breitling.